The Vyšehrad Cemetery (Prague 2014). 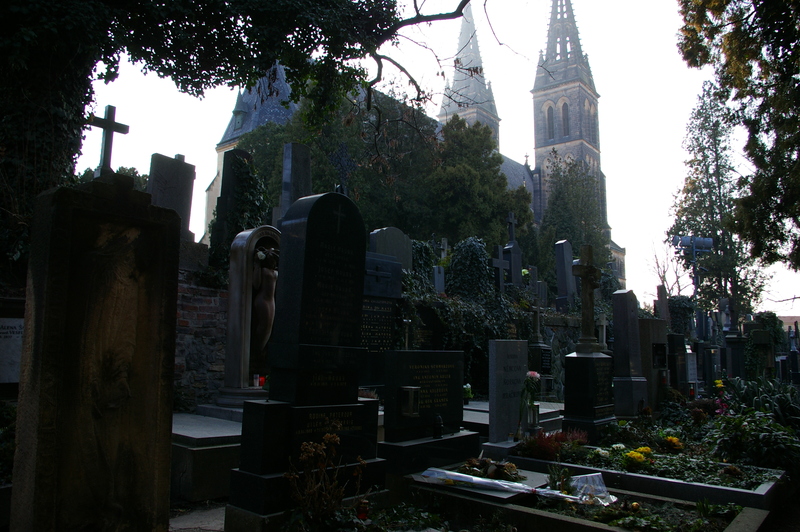 Established in 1869 on the grounds of Vyšehrad Castle in Prague, Czech Republic, the Vyšehrad cemetery is the final resting place of many composers, artists, sculptors, writers, and those from the world of science and politics. Vyšehrad Cemetery is a main attraction for many visitors, being the final resting place for dozens of Czech luminaries, including Antonín Dvořák, Bedřich Smetana and Alfons Mucha. Many tombs and headstones are works of art – Dvořák’s is a sculpture by Ladislav Šaloun, the art nouveau sculptor who created the Jan Hus monument in Old Town Square. This entry was posted in Life/Photography and tagged Art, Beautiful, Boy, Cemetery, Child, Children, Detail, Girl, Headstone, Photography, Prague, Sculpture, Small, Statue, Tombstone, Vysehrad. Bookmark the permalink.